These Leeds based death-creants recently regurgitated their debut EP and the fact it’s a Demo means not a jot! This is the kind of Autopsy meets early-Carcass obsessed, gore-drenched old-school death metal which benefits from a rough and ready production; wallowing in its own sticky juices as the 3 tracks contained within spill their slop all over your Sunday best! Short but certainly not sweet, “Limbless”, “Cordyceps” & “Aeons Of Lies” waste no time in splitting your skull with their heady (or headless) mix of tremolo riffing, blast beats, gurgling vocals and all manner of death metal cliches. And that’s not meant as a dig either! 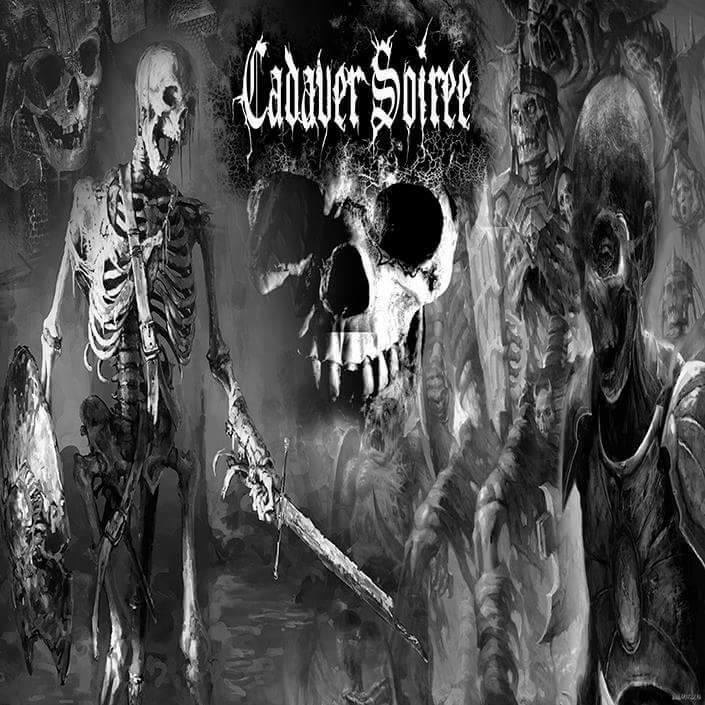 Cadaver Soirée “play death metal in its purest form” and that means adhering to relatively cliched structures but that doesn’t make Demo 1 any less appealing and no less revolting. There’s enough memorable riffs here to ensure Cadaver Soirée remain, well, memorable and these songs are suitably brisk and brutal….which is just how traditional death metal fans like ’em! US Death Metallers PIG’S BLOOD Reveal Debut Album Details! PIG'S BLOOD Reveal Their Debut Album Details! Resurrected from the ashes of one of the most influential death metal bands of all time! MEMORIAM To Release New Album THE SILENT VIGIL On March 23rd!